[Updated, 8:55 am ET] It’s been a strange journey for Chris Garabedian. As the CEO of Sarepta Therapeutics, he steered the company from a biotech afterthought to one of Wall Street’s darlings, earning the support of a Duchenne Muscular Dystrophy patient community desperate for an effective treatment. Yet there’s been another, more controversial side to Garabedian’s tenure. The goodwill he earned from investors by salvaging Sarepta (NASDAQ: SRPT) slowly eroded. Reported board squabbles emerged, leading to an executive shakeup. Sarepta missed deadlines, pushing its Duchenne drug, eteplirsen, further and further from the finish line. And perhaps most damning, the company has had an unusually contentious relationship with the FDA. All of that appears to have come back to haunt Garabedian. Late last night, he abruptly resigned from the Cambridge, MA-company, effective immediately. Garabedian (pictured above) has been replaced by Edward Kaye, who will serve as the company’s interim CEO while it searches for a new full-time leader. Kaye, a former Genzyme executive, has been Sarepta’s chief medical officer for close to four years, running its clinical and medical operations. In a statement, Kaye said his immediate focus will be to advance the “regulatory and clinical process” for eteplirsen (the company has said it expects to file an application for approval this year). And the two quotes in Sarepta’s press release, from Kaye and interim chairman John Hodgman, both indicated the need for a clean slate with the FDA. “I look forward to further strengthening our relationship with the FDA and other regulatory agencies that share our goal of doing what’s in the best interests of [Duchenne] patients and their families,” Kaye said. Kaye added that Sarepta “remain[s] on track” for getting the data necessary to file an application with the FDA in the middle of this year, indicating that the executive transition hasn’t derailed Sarepta’s plans. [Updated with notes from conference call] In a conference call this morning, the two executives didn’t identify a specific reason for Garabedian’s departure—Hodgman said after a discussion with Garabedian, “we mutually agreed to go our different directions”—but they indicated that Sarepta wants to approach the FDA differently, and more “collaboratively” (a point mentioned several times) than it has in the past. Garabedian’s resignation ends a once-promising run as CEO. A former dealmaker at Gilead Sciences (NASDAQ: GILD) and Celgene (NASDAQ: CELG), Garabedian joined the board of Sarepta—then AVI Biopharma, and based in Bothell, WA—in 2010, and moved into the head seat the following year. AVI was a three-decade-old company with an RNA-based drug technology that, at that point, hadn’t even produced a candidate in late-stage testing, let alone FDA approved and marketed product. Its previous CEO, Les Hudson, was ousted in a board shakeup. Garabedian took over and was adamant that the company maintain full rights to its Duchenne program. He nixed the lead ongoing clinical trial for eteplirsen, and as he told our former colleague Luke Timmerman a few years ago, reshaped the study. That led to the small, 12-patient, Phase 2b trial that turned the company around. While patients in the study with Duchenne—a crippling and deadly neuromuscular disorder—didn’t benefit after 24 weeks on treatment, they appeared to after 48. On an industry standard six-minute walk test, patients on eteplirsen were improving, walking farther than those on placebo. The results were issued in 2012, and shares soared. 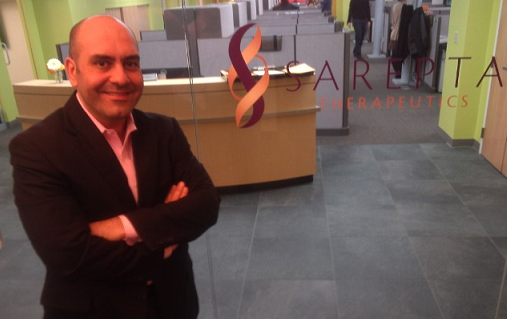 Now named Sarepta and based in Cambridge, the company started drawing massive investor interest. Shares once worth under $1 skyrocketed to almost $45 when the 48-week data were released in 2012. Garabedian began hearing impassioned pleas from patient advocacy groups, and started considering the idea of asking the FDA for “accelerated approval” of eteplirsen off of Sarepta’s tiny set of data. When a rival drug from Prosensa failed a Phase 3 study, it only heightened the anticipation for Sarepta. Since then, however, Sarepta has slowly descended. In July 2013, Garabedian announced plans to file an application with the FDA based on the Phase 2b study; regulators later called that effort “premature.” Sarepta appeared to iron out its issues with the FDA in April 2014, and announced an agreement on a clinical plan that would at least give it a shot for early approval, before completing a large Phase 3 trial. Just months later, reports of board tumult surfaced in the Wall Street Journal, which alleged that then-chief scientific officer Art Krieg, a veteran of the RNA field fired by Sarepta in July, had “serious disagreements” with Garabedian and tried to lead a boardroom coup. The reports contended the board was trying to scale back Garabedian’s direct dealings with the FDA. That led to a board overhaul that Garabedian appeared to have won—William Goolsbee resigned as chairman, and the board pledged support for the CEO. Still, more troubles with the FDA came later. In October, the FDA made a series of new requirements of Sarepta before the company could file for approval, and even called into question the method it used to gather its data. That led to another delay for eteplirsen, some critical remarks from Garabedian—“there was no additional information…providing the context of why they felt this way,” he said on a conference call at the time—and, uncharacteristically, a written public response from the FDA to explain its decision and dealings with Sarepta. 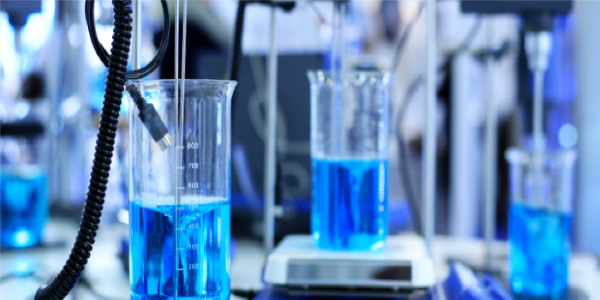 In the meantime, Prosensa was acquired by BioMarin Pharmaceutical (NASDAQ: BMRN), which believes the company’s Duchenne drug still might win FDA approval, and just might this year. And Sarepta’s shares closed on Monday at $13.28 apiece, less than they were before the company released that head-turning data in 2012. The change in sentiment from just a few years ago is stark. In a research note this morning, for instance, RBC Capital Markets analyst Simos Simeonidis called Garabedian’s departure an “incremental net positive” for Sarepta since it “can help improving the company’s problematic interactions with the FDA, and its credibility with investors.” Shares were up over 8 percent in pre-marketing trading. If Sarepta does ever become one of those companies, it’ll now be under someone else’s watch.